As well as my own studio practice I also facilitate workshops for children and young people exploring sculpture, installation, and animation. 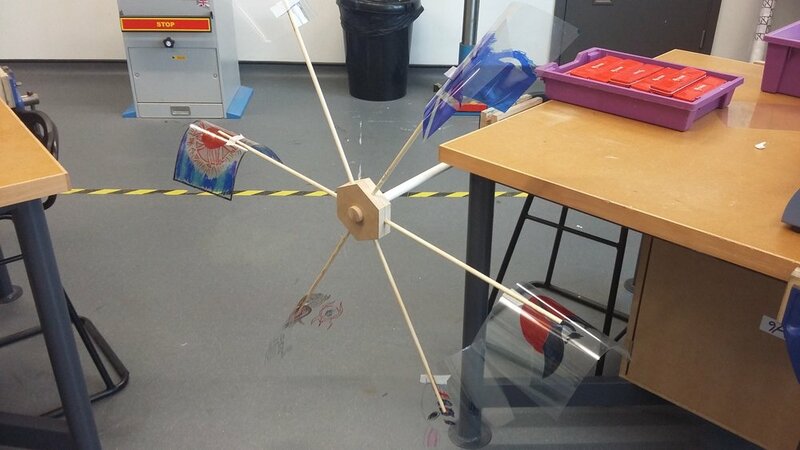 I was invited by Hackney Wicked development programme to lead a workshop to 10 and 11 year olds creating large-scale sculptural installations that both the maker and viewer could inhabit. 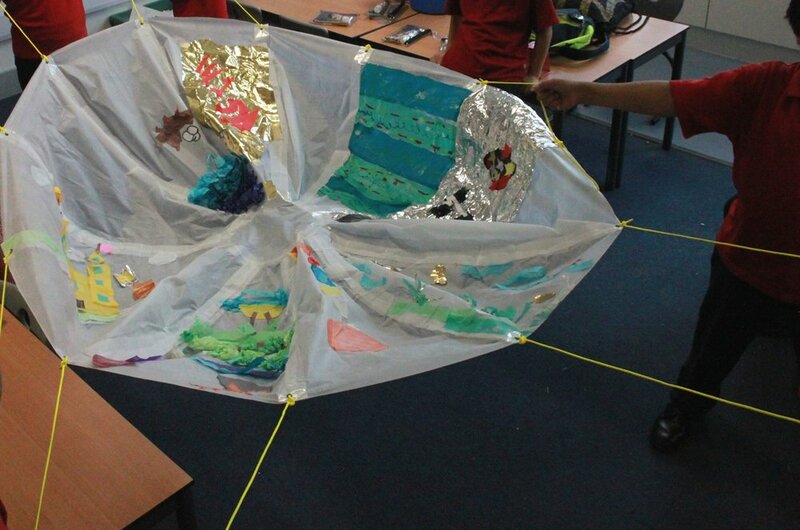 I was lead artist on a series of after-school clubs for primary school children in East London, exploring transformable sculptures that could be packed away and then unfurled in another form. These also acted as props for animated GIFs. I have run several animation workshops at schools and youth clubs, utilising zoetropes and gif programs on the iPad. 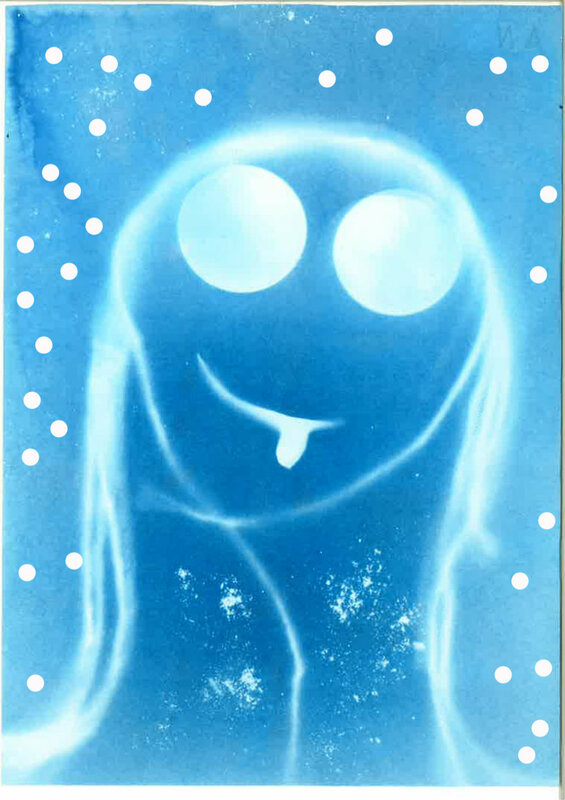 As part of Big Draw week at a North London secondary school, I ran a cyanotype workshop, producing images that were then used as the basis for short animated gifs. 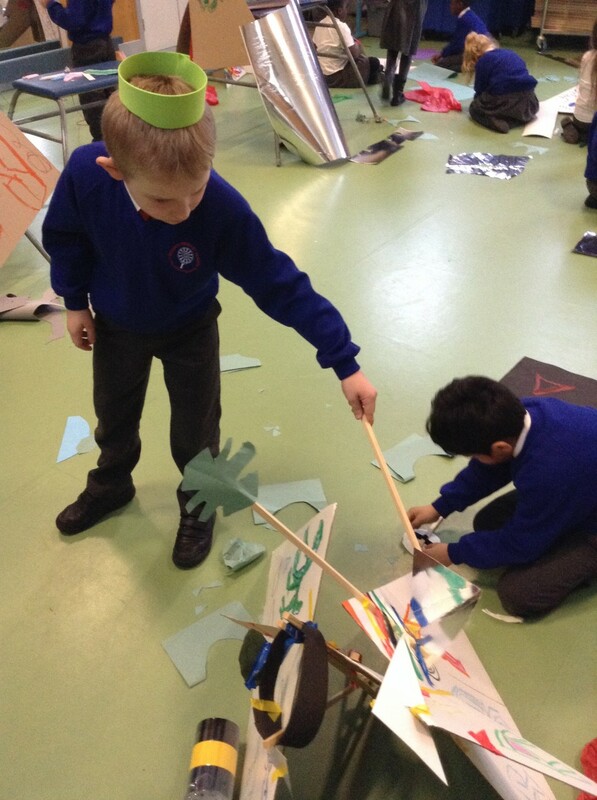 I devised and led a series of workshops for year 9 students, using my sculptural frameworks and their drawings to create sci-fi scenarios including alien banquets and flags from other worlds. Part of Big Draw week.